These are all tools within the evaluation powered by Social Software Matrix. It is a selection of important Social Software tools on the market at this time and will be enhanced soon. If you want to be informed about new tools or updates, you can subscribe to our newsletter or RSS feed. 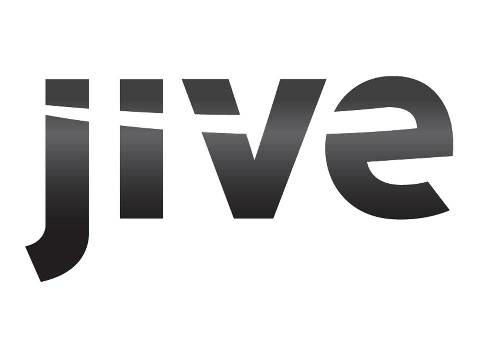 Jive is available either as an on-premise solution or an externally hosted SaaS. It is comparably easy to install and supports a wide range of operating systems and databases. Clustering is supported and scalability is reported to be unproblematic also in big company deployments with a couple of ten thousand users. Different languages are supported. With the 6.0 release Jive extended the strong activity stream with customs streams. Besides enhanced CRM and moderation functionality, the introduction part for users of the SBS is newly designed. Furthermore the search was enhanced by including the social signals to improve the search results. The simple creation and distribution of content like Blog-Postings, Status Updates, discussion in spaces, social groups and projects is the greatest strength of Jive. Commenting and rating is easy and well integrated throughout the whole platform. Extensive forum functionality is available in all workspaces (spaces, groups, projects), threads are easily manageable and posts can be explicitly marked as questions. Besides the central activity stream exists the custom activity streams, which is faster and more precise by structuring the content. The new function Jive Anywhere supports the user by sharing content of any website and initiation of a discussion or recognizing if there is already content on the platform that belongs to a website. The app-mentions function integrates the content of apps and enriches the created content with information and important links. With these the utilization ratio and the quality of content get raised. The availability of content on mobile user devices creates the possibility of access, which is still established in the internet. Jive completely fulfills the requirements of open and closed workspaces. They are well structured, have a customizable home page and admin control over access levels is, despite a high granularity, uncomplicated. The new features External Access and External Groups, where groups and projects can add participants, that don´t belong to the company helps to improve the external communication and collaboration with partners. Generating content (in blogs, on wiki-pages, in documents and discussions) and the collaboration with other participants had never been so easy then in Jive. But structuring of content with categories is not implemented well, like in other applications. The integration with Outlook and Office allows the smooth connection of the daily working processes of a knowledge worker with the central collaboration platform. The integrated preview function allows a view of the documents without opening third party programs like MS Word, PowerPoint or Acrobat Reader. Through the enormous demand of an integration with SharePoint, Jive implemented an own SharePoint-Connector, which is more intuitive and better integrated. Besides corporate conversation, the real strength of Jive is Networking and Expert Search. The profiles are well structured and contain a great deal of information including biographical background, expertise, groups and a reference to the personal blog. A tag cloud with the user’s most frequently used tags provides a quick overview about work focus and interests. Unlike competing products, Jive allows for a convenient one-way following mechanism, which is known from twitter. Each employee can be displayed in an organizational chart and suggests similar people when visiting a profile. Any keyword search will suggest matching experts and the advanced people search enables users to search people by tags, titles, department and more. Nevertheless we see potential in a more intelligent expert search. Well-engineered profile and data privacy gave the user the chance to decide, which information in the personal profile appear and should visible for other users. The most important improvement in this sector is the custom activity stream. It is an adjusted activity stream site, which the user can customize by the user. This provides an optimal introduction to the personal information management. The requirement of a good search function is met by the live search and various options of filtering search results. In fact Jive emphasizes the personal aspect of information management allowing people to privately bookmark interesting content on the platform or the web and view a history of their activities. Project management on a basic level is well supported in Jives Social Business Software. It is possible to set up a project workspace which includes a project blog, a project forum and a list of shared documents. Though it is possible to aggregate a bunch of widgets, including a project calendar, a progress bar and a summary of the project tasks on the customizable project dashboard, the functionality behind that cannot satisfy high demands. Jive improved features of PM with the possibility to integrate more PM-Applications with apps. For example: there is a JIRA-integration for the issues tracking. Furthermore external groups for participants, which are not in the company, can be created and invited to the project work. 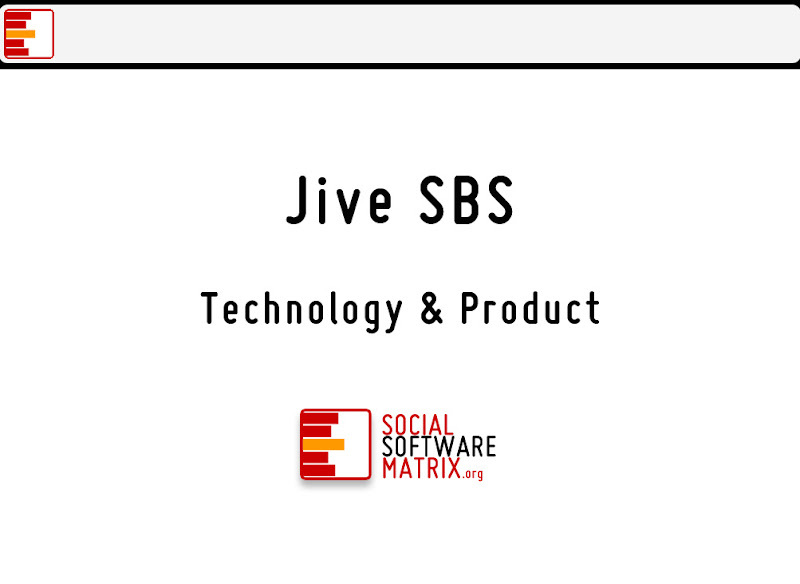 Jive SBS is available either as an on-premise solution, an externally hosted SaaS or within Jive Cloud. It is comparably easy to install and supports a wide range of operating systems and databases. Clustering is supported and scalability is reported to be unproblematic also in big company deployments with a couple of thousand users. Additional Jive provides an Office and Outlook integration as well as a range of plugins and apps for customizing. Besides enhanced content by e-mail functionality for all mobile phones and especially RIMs Blackberrys, a powerful native iPhone application was developed. An integration of SharePoint is available with the SharePoint Connector. Jive supports various LDAP providers including Microsoft’s Active Directory for basic authentication. The access permissions are set on the workspace level and administrators can configure read-, write-and view-access on a very detailed level. With new function external groups Jive provides an area where standard community users can work with people from outside the community, external contributors. Market researcher see Jive again as one of the leading products describing it as a “strong performer” (Forrester) or “visionary with the ability to execute” (Gartner). In fact Jive is one of the products with a clear Social Business vision and their idea to integrate internal and external stakeholders on one platform is promising. Jive is backed from the two of the biggest venture capital companies in the market. The company is growing fast and constantly hiring developers. Calling a number of Fortune 500 companies their customers, Jive seems to have the foot in the door and based on their solid position in the American market, they start to expand to Europe. Jive is realigned more and more on the growth markets in Latin America and Asia. Jive extends the Service and Support Struktur increasingly. Over the jive community the costumer obtains entry for support. Every customer has to set its own community with the possibility their Issues. In addition he receives a Jive Engagement Manager. In the US, Jive relies on a number of partners. For technical- and business consulting, they are working together with specialized partners. Support is guaranteed to respond within a business day; immediate 24/7 support is possible but causes additional costs. Since version 2.5, they provide a good online documentation, which is publicly available, along with some whitepapers on best practices. A growing community of implementers and developers is active on the Jive homepage (http://www.jivesoftware.com/jivespace/community/developer). New high quality product releases appear on a regular basis every half a year. Considering Project Management: “tasks can only be defined on the same level”. This is not true, you can define subtasks. Hi Ronald, you’re right – I used this feature yesterday! Thanks for contributing! © Copyright 2019 SocialSoftwareMatrix. All rights reserved.